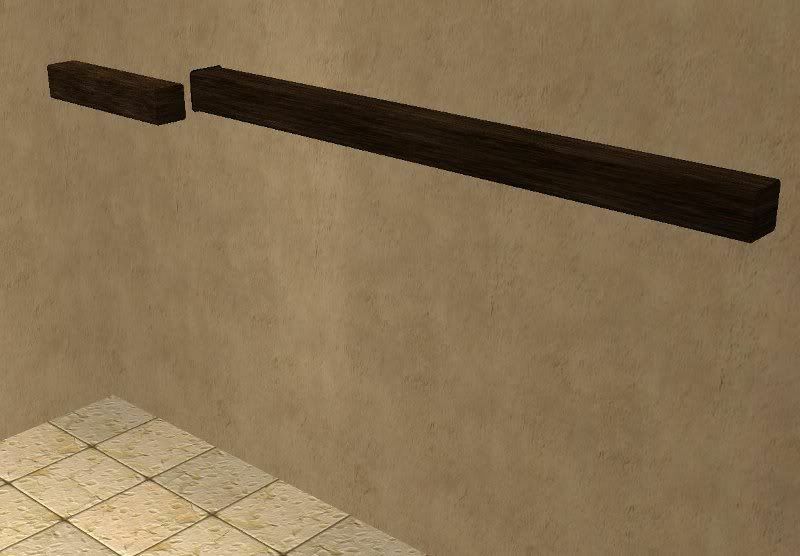 You can use cheats to move them into each other and have them going outward from the wall. Use move_objects on to make them go outward, and boolProp SnapObjectsToGrid false to make them go into each other. Found in Decorative/Wall Hangings price is 120 simoleons. Enjoy! Updated: Please re-download, I fixed the hand tool not being able to move the 3 tile beam after it is placed in buy mode by fixing the southwallshadow mesh. Also it is now 120 simoleons, like I said instead of 350 in the old version. Should be working now, sorry about that.